Ever since the release of the famous Tamagotchi in the mid-90s', the virtual pet field hasn't stopped growing in a totally incomprehensible manner. And with the proliferation of smartphones and tablets, these digital pets have also landed on Android and iPhone to fill our mobile devices with all sorts of creatures and beings to be fed and looked after as if they were our cat or dog. 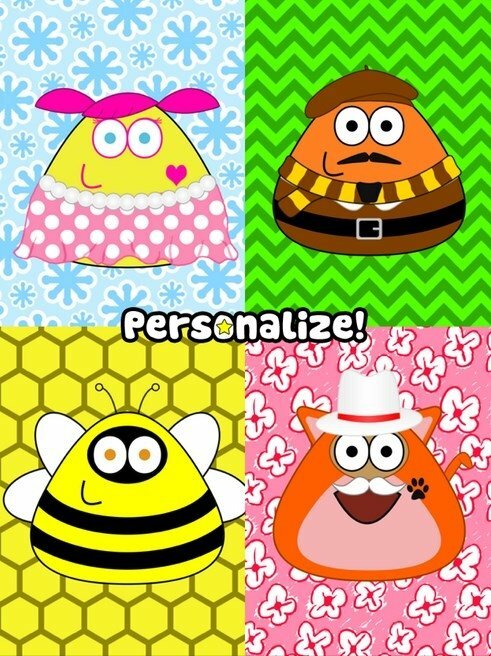 Do you have what it takes to adopt a Pou? 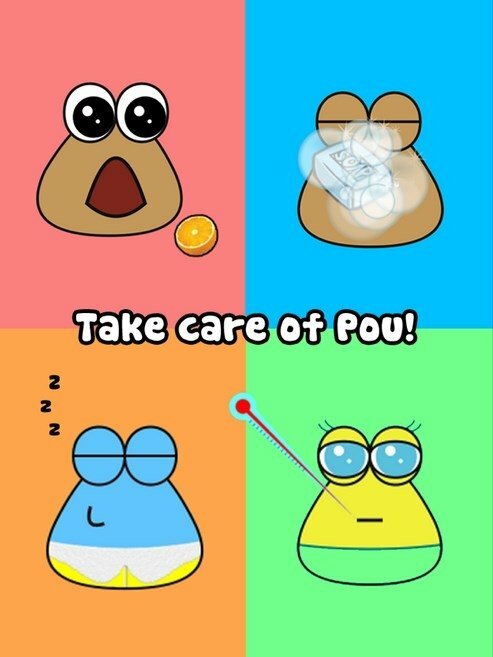 One the most popular virtual pets within the iOS environment is undoubtedly Pou, a poop-shaped alien although the most innocent eyes consider it a triangular-shaped potato. Just take a look and decide for yourself. Just like in the majority of games of this nature, we'll have to look after him, feed him, and play with him to make him grow happy and healthy, and reach the highest level as possible. The truth is that it doesn't seem very entertaining (not to say that it also sounds quite sad) but, if you haven't got anything better to do, go ahead and download this app to your iPhone. Feed and look after your pet to make sure he has everything he needs. Make him grow and increase his level (he'll become an adult after level 10). Games room where you can take part in mini-games to earn coins (although you won't need them if you get hold of the endless coin hack). Go to the lab to do experiments with magic potions. Customize the aspect of your alien, buying all sorts of clothes and accessories. You can also customize each room: kitchen, bathroom, laboratory, games room, bedroom, living room, and backyard. 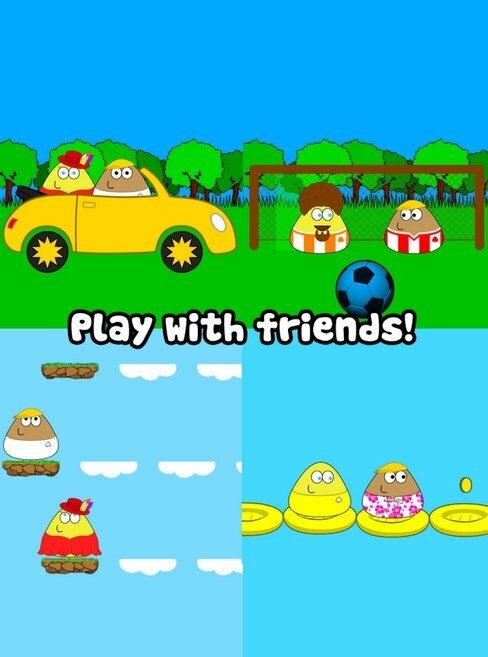 Take a look at the Pous created by your friends. Unlock achievements and special items. Yes, you've read it correctly, it's no joke. One of the greatest myths that surround this game (it looks like all virtual pet games have their own legends, just read about Talking Tom Cat' eyes if you don't believe us) is that Pou could have babies if you didn't pick up his poop. 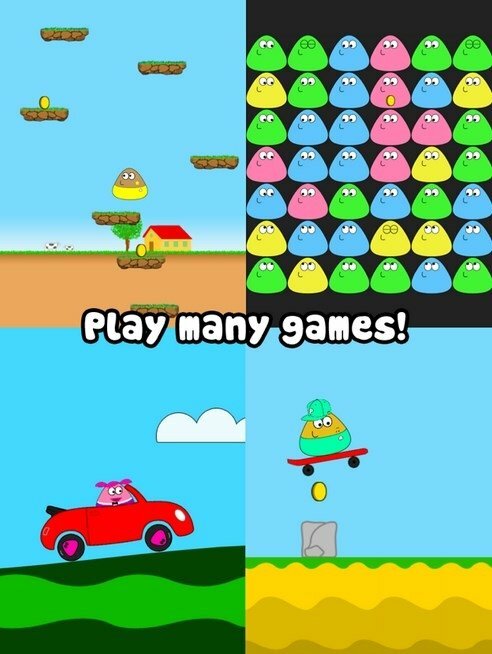 That's why the Internet is flooded with questions of the likes of how many poops are necessary for Pou to have a baby?, with how many poops does Pou have a child? 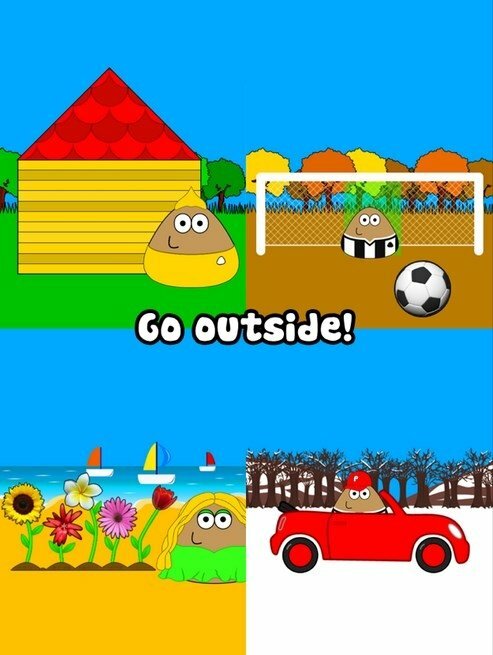 or with how many poops does another Pou appear? Don't believe anything you read, it's all fake. Your Pou is never going to have children. Thank God for that.